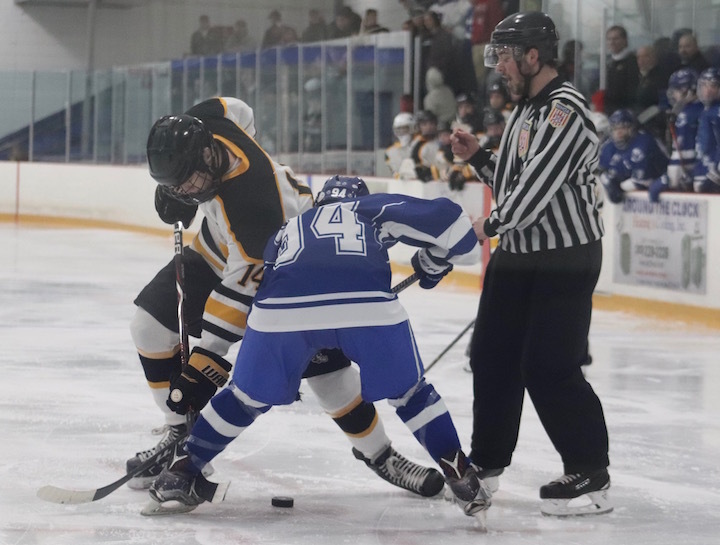 The Amity Boys Ice Hockey team has had a run of bad luck in recent weeks, but their spirit is still strong and their coach Mike “Scooter” Richetelli has faith that they will come back and start winning again. On Wednesday, the Spartans ranked 10th in DII, went up against the West Haven Blue Devils, ranked 6th in DI. The coach said they are mirror images of one another. Both teams play hard and they are both tight-knit groups — like brothers. The boys know one another personally, and they even shared the same bus for a season-opening scrimmage in Massachusetts in December. There’s no denying that West Haven is a good team. Most of their victories were 3 – to – 4 points over their opponents, so for Amity, a DII team, to keep the point spread this close is a credit to their skill. West Haven’s Kaden Morgillo put the Blue Devils on the scoreboard in the first period, assisted by Conner Fowler and Kevin Moriarty at 6:32. Amity really didn’t waste much time tying the game in the second period. At 4:48 Jason Csejka made a goal, assisted by Cody White. West Haven pulled ahead about 2:30 minutes later when Nikolas Kyle slipped one past Amity Goalie Malachi Zurolo on an assist from Moriarty. The third period was just a flurry of action and excitement. 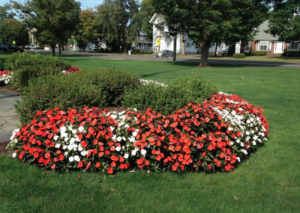 The Blue Devils fired shot after shot at Zurolo and the Spartans bombarded Jared Pliszka with shots. Both goalies went over and above doing their jobs. It was crazy. The final few seconds of the game were insane. Zurolo was pulled, in a common strategic move, in order to get an extra man on the ice. 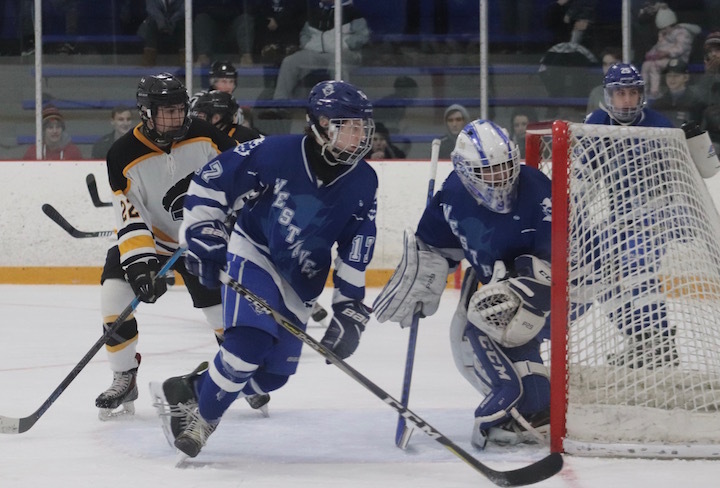 At any moment, West Haven could have taken control of the puck and easily scored again, but Amity was able to hold them off and keep the puck on the opposite end of the rink. No one scored, a huge credit to Zurolo and Pliszka, each team’s defensive line and the coaches. Final Score: West Haven won this one 2-1. 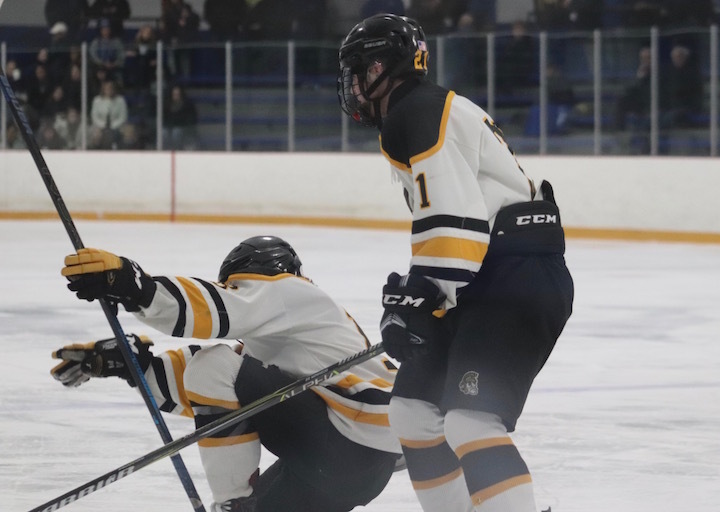 Next Up For Amity: The Spartans host East Haven (5-1-7) at Bennett Rink on Saturday, Feb. 2 at 3 p.m. This is the Spartans’ Senior Day Game. Come on out and cheer on our boys and hopefully witness their comeback victory. Boys, why not dedicate this game to your senior members. Keep them on your minds with every move you make. Just Believe you can win this and you will. Let’s go Spartans!